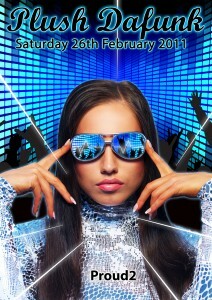 Plush Dafunk is astounded to announce its return to the 02’s super club PROUD2 fka Matter. Following it’s closure and a One million pound renovation the venue will be transformed like never before! With four amazing headline acts, including Super star THOMAS GOLD with recent collaborations with Axwell, and named as his “favourite DJ Producer of 2010”. Is set to be one of the most in-demand Dj’s on the planet! Joined by man of the moment Chris Kaeser, with clubs smashes “Who’s In The House”, “What We Gonna Do” & “Rescue Me” this guy is simply on fire and making his UK debut for first time with Plush Dafunk. You just know one thing is for certain on this night, Plush Dafunk is going to rock your world! We strongly advise that you purchase an advance ticket now, as this event is guaranteed to sell out!